This is the same store we buy zhong zi from (see 09 July 2010 post). 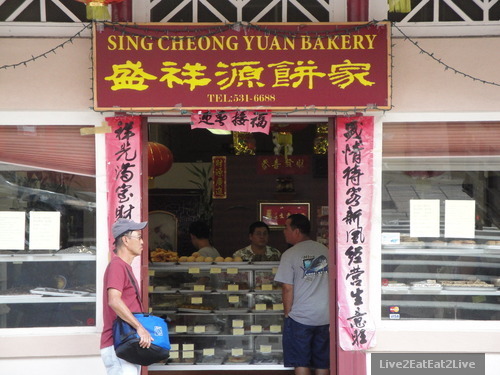 The bakery sells many traditional Cantonese delicacies, both sweet and savory. 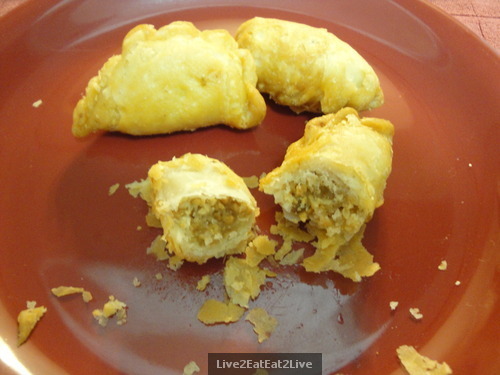 One of their pastries is deep-fried half-moon with peanut filling. These little bites (about two Mouse bites for each pastry) are awesome! 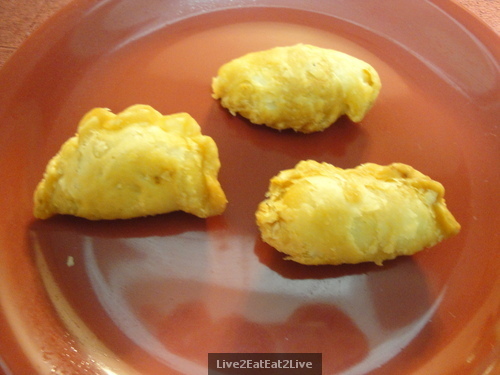 They are flakey, oily, sweet, and salty pockets of tastiness. You’ve read this before, the skies parted and the angels sang. Yum. Currently, they sell for three for $1.00 or eight for $2.00. Being Chinese, I bought the eight for $2.00. Because they are so rich, I limit myself to two each day. These will last in an airtight container for at least a week. These were the only treats I bought from Chinatown this day. These are great with green tea.